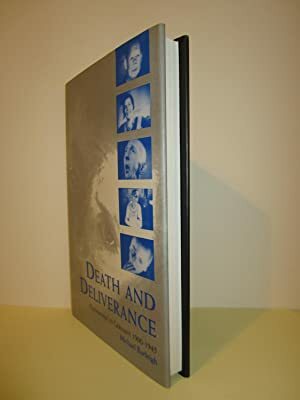 Death and Deliverance: "Euthanasia" in Germany c. 1900-1945 by Michael Burleigh; Cleansing the Fatherland: Nazi Medicine and Racial Hygiene by Götz Aly, Peter Chroust, Christian Pross, Belinda Cooper, Michael H. Kater (pp. 1028-1031)... Euthanasia in early-20th-century Germany has often been linked to other bioethical issues, such as abortion, sterilization, concentration-camp experiments, and to the events of the Holocaust. The Euthanasia Program was Nazi Germany's first program of mass murder. It predated the genocide of European Jewry (the Holocaust ) by approximately two years. The program was one of many radical eugenic measures which aimed to restore the racial "integrity" of the German nation. Nazi Germany built extermination camps (also called death camps or killing centers) during the Holocaust in World War II, to systematically kill millions of Jews, Slavs, Roma, Soviet POWs, political opponents and others whom the Nazis considered "Untermenschen" ("subhumans"). Death and Deliverance: “Euthanasia” in Germany c. 1900–1945. By Michael Burleigh. Cambridge and New York: Cambridge University Press. 1994.